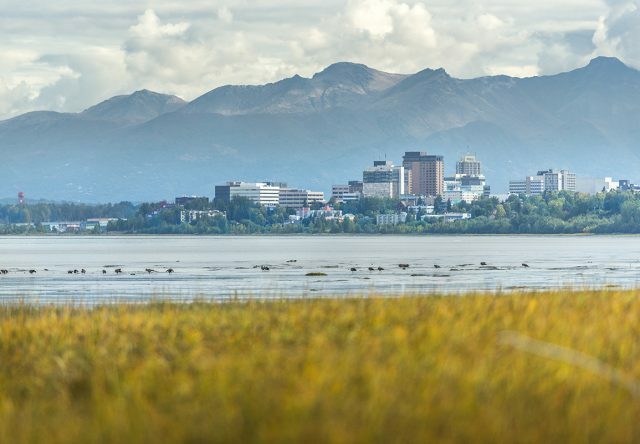 By booking a trip to Anchorage during the first week of the month, travelers get the special benefit of seeing some of the best Anchorage has to offer at “First Friday” events around downtown, many just blocks away from the Westmark Anchorage Hotel. Local galleries, boutiques and restaurants display the works of artists from Alaska and beyond. It can be overwhelming to decide where to spend your evening, so we’ve scouted out some of the top places for the upcoming August First Friday. Alaska Cake Studio – Enjoy an evening with artist Lana Murphy and her oil canvas featuring Alaska landscapes, Alaska Native culture and animals as you indulge in a slice of cake from Alaska Cake Studio. Your evening will be sweet and delicious! Snow City Café – A local favorite for breakfast, lunch and dinner. First Friday is a perfect excuse to walk to this downtown café that usually closes much earlier in the day. This month, enjoy light appetizers and Kara Kirkpatrick’s “Art Therapy.” It’s a collection of her one-of-a kind mosaics. 49th State Brewing Company – Check out 49th State Brewing Co. for an array of Alaska artists and brews. Local artisan Seaglass and Stardust is in the building hosting a maker’s market to bring you works from more than 30 local artists all under one roof. All goods are 100 percent handmade. Anchorage Museum – Admission to the museum is free during First Fridays, making it the perfect time to explore. This month, in addition to everything else the museum has to offer, visitors can check out live music by Rebel Blues and attend an artist talk with Amy Johnson. Amy’s art is featured in the “True North” exhibit at the museum and her photos contrast landscape with human presence. Haven’t seen anything yet that tickles your fancy? That’s okay! There’s plenty more to discover. Anchorage Press has a compilation of more events around town so you can feed your inner artist however you like best.